In the Bible flowers are often used as symbolism for beauty, growth, temporal things, fullness, and more. The gospel can be seen in all of creation. Flowers are a beautiful reminder of our glorious God. You can give flowers sunlight, you can give the proper amount of water, but one thing will always remain true. 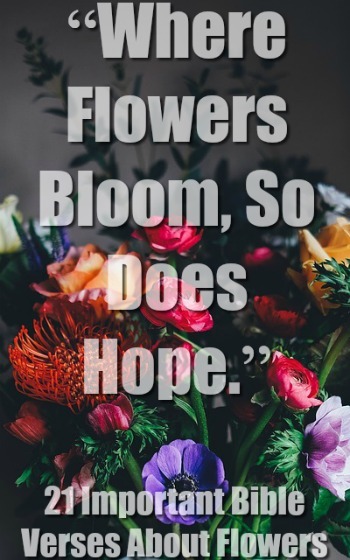 Flowers will eventually fade and die. Anything in this world that we put our hope in will one day wither away. Whether it be money, beauty, humans, stuff, etc. However, unlike flowers and the things of this world God and His Word will always remain the same. God’s sovereignty, His faithfulness, and His love will never fade. Praise be to our God. God cares for the flowers of the field. God cares for all of His creation. This should cause us to rejoice in our trials. If He provides for even the smallest flowers, how much more will He provide for you! You are so loved. He sees you in your situation. It might seem like God is nowhere in sight. However, don’t look to what is seen. God will take care of you in your situation. When you plant a seed eventually it will grow into a flower. 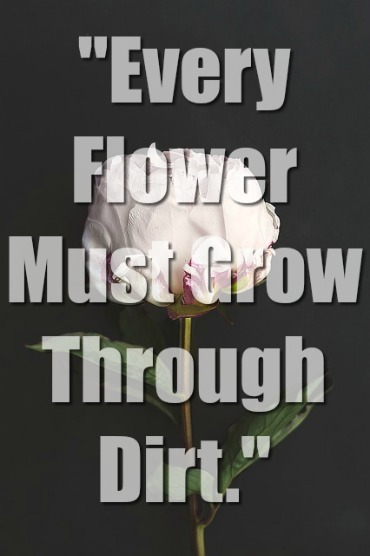 For a flower to grow it needs water, nutrients, air, light, and time. In the same way, we need things to grow in Christ. We need to discipline ourselves spiritually. We need to (wash ourselves and feed ourselves) with the Word. We need to be around a (positive environment) so our growth is not hindered. We need to (spend time) with the Lord. As we do these things there will be growth in our life. Just like there are some flowers that grow faster than others, there are some Christians that grow faster than others. The sweetness of the presence of Christ. Flowers are used to illustrate the beauty of Christ and His Word. Where there was once dryness, there will be fullness because of Christ. Flowers are used to illustrate the joyful flourishing of Christ’s kingdom.